On Saturday May 5th 2007 a selection of people gathered at the Brufut lower basic school grounds to witness the official launching of www.gilkock.com a website designed to sell and promote the Brufut based community academy; Gilkock Football Academy, Brufut Branch. In his launching remarks Mr. Jammeh E.K. 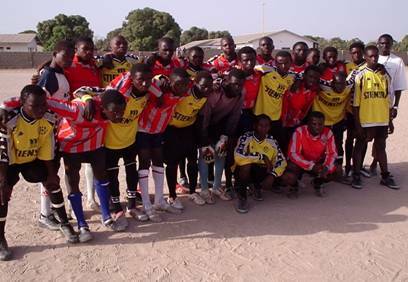 Bojang Secretary General of The Gambia Football Association commended the coaches of the academy for coming up with such a wonderful idea and urges all other operational academies and sporting bodies in the Gambia to emulate the Brufut based academy to sell the name of the country in terms of sports. He also encourages the entire community of Brufut to use the website to sell the name of the village in future. On his topic The Role of Academies in Football Development; Jammeh, whose presentation was seen as by many as the most interesting first of all defined what an academy is and then looked at the scope of academies in the world. He deliberated on issues such as materials needed to run an academy (facility, instructors, trainer support staff). He however outlined the very importance of the coaches knowing their subject areas well for the grassroots football needs well trained personnel to guide them through their course of been better players in the future. On his part Mr Burama Dibba, deputizing Mr Sang Ndong, proprietor of Gilkock Football Academy advise the interns to be discipline, hardworking, dedicated to achieve the best in football in future. 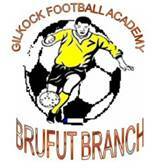 He without doubt thanked and hailed the coaches of Gilkock, Brufut Branch for their creativity steadfastness and urged them to continue the good job already started. Called on to give his inspirational words, the Alkalo (village head) called on the players to always remember to be patient and hardworking for one can’t be successful without been hard working and patient. 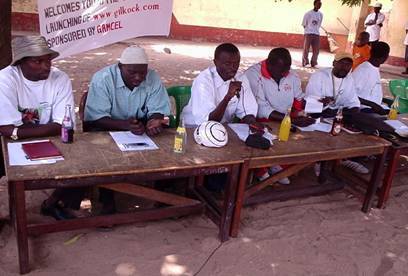 Sang Mendy, Secretary of Gilkock, Brufut Branch gave an overview of the academy outlining the aims, successes and constraints. He ended his speech by thanking the Pickett family, John Carter and Family, Mr and Mrs Marijofy Garforth, Jaap and Anne of Lutjebreok in Holland, Friends of The Gambia Association (FOTGA), Gamcel, West Coast Radio and Banjul Breweries for their wonderful support towards the official launching. 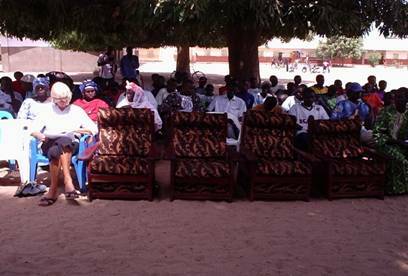 Other speakers at the launching included Max Jallow, the imam’s representative Alhagie Kemo Manneh, Buba K Jallow, the Technical Director of the academy whilst the vote of thanks was giving by Ousman Jassey a player of the academy.